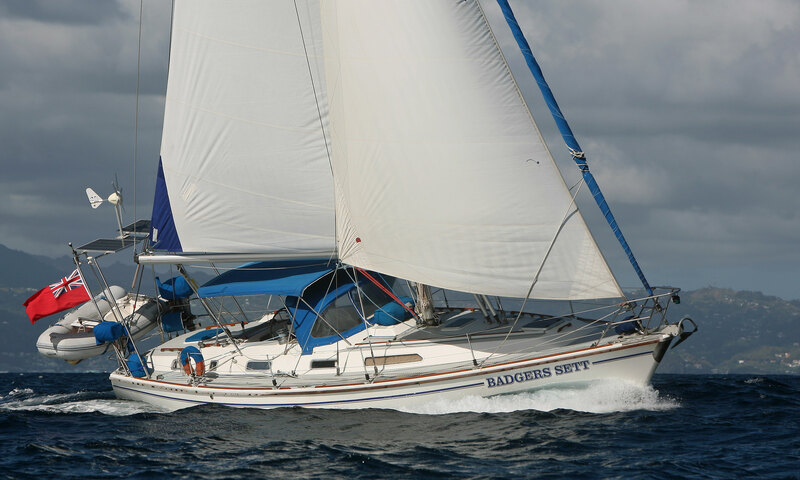 Is the Cutter Rig Superior to the Solent Rig for Offshore Cruising? 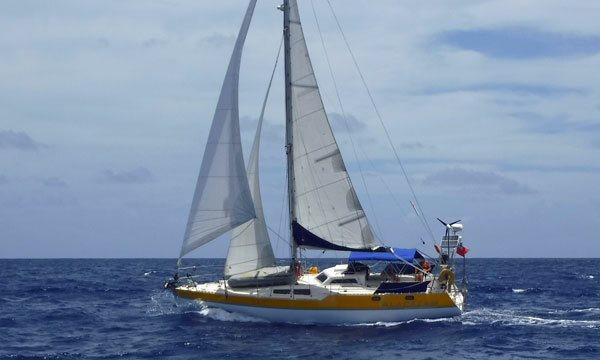 Is the Cutter Rig More Useful than the Solent Rig for Offshore Cruising? For years the cutter rig has been extremely popular with offshore sailors, providing greater flexibility and easier sail handling than the sloop rig in varying wind and sea conditions. But look around any anchorage where offshore cruisers congregate and you'll notice that the solent rig is mounting a serious challenge to the cutter rig. But why is that, and what's the difference between these two rigs? The cutter has its two headsails set well apart with the inner stay attached a distance down from the masthead and aft of the stemhead. On a solent rigged sailboat, the headsails are set much closer together with both stays attached close to the masthead and the stemhead. Unlike the solent rig, both sails are intended to be flown at the same time. Usually the jib will be a high-cut yankee and the smaller staysail will have a lower clew catching the wind that would otherwise escape below the yankee. With both headsails set, the boat can be tacked without the need to furl the jib. In high winds, the yankee can be furled completely leaving the staysail set with a deeply reefed main. Many fin-keel cutters reefed down like this will heave-to satisfactorily, whereas they're much less likely to with a partially rolled jib on the forestay. The lower combined centre of effort of two smaller sails when compared to that of a larger single sail produces a lower heeling moment. Translation - a cutter sails more upright! 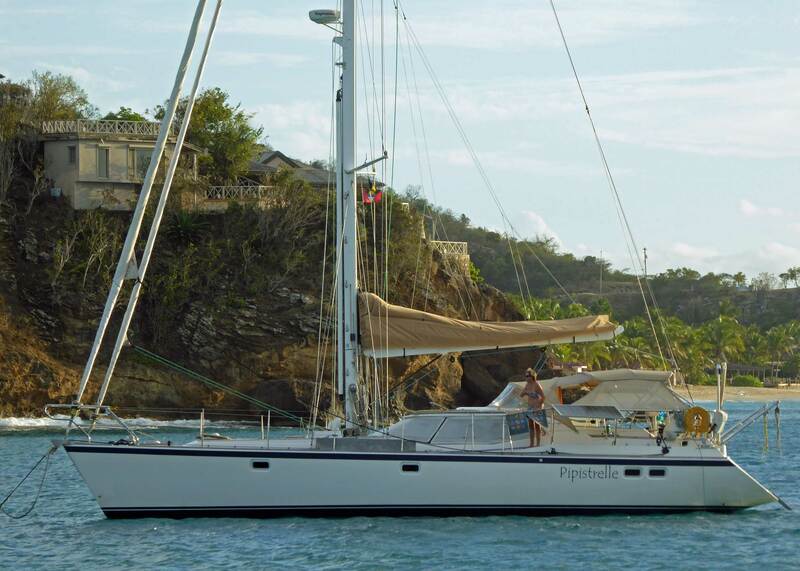 Hard on the wind, the jib stalls the staysail, leaving you with two options. Either drop the staysail or bear off the wind a little. Downwind, the staysail will blanket the jib and has to be dropped, leaving a relatively small jib to power the boat. Running backstays must be set up to resist the forward pull on the mast by the inner forestay. Alternatively, aft intermediate stays could be incorporated in the standing rigging. 'Alacazam' is a cutter, shown here flying a yankee and staysail on a beam reach - ideal conditions for the cutter rig. Note how the staysail fills the gap under the high-cut yankee. The Solent Rig is quite different from the Cutter Rig in as much as it's effectively a sloop with two different sized headsails on separate in-line stays - usually set on furlers. You fly one sail or the other - not both at the same time as with the cutter rig. You have a choice of headsails. Typically, the forward sail could be a 140% genoa for use as an offwind/reaching sail and the aft one a 100% working jib for windward work. Having said earlier that you fly one sail or the other, I'll immediately contradict myself by saying that you can sail dead downwind 'wing-and-wing' with one sail poled out to port and the other poled out to starboard. You certainly can't do that effectively with a cutter. 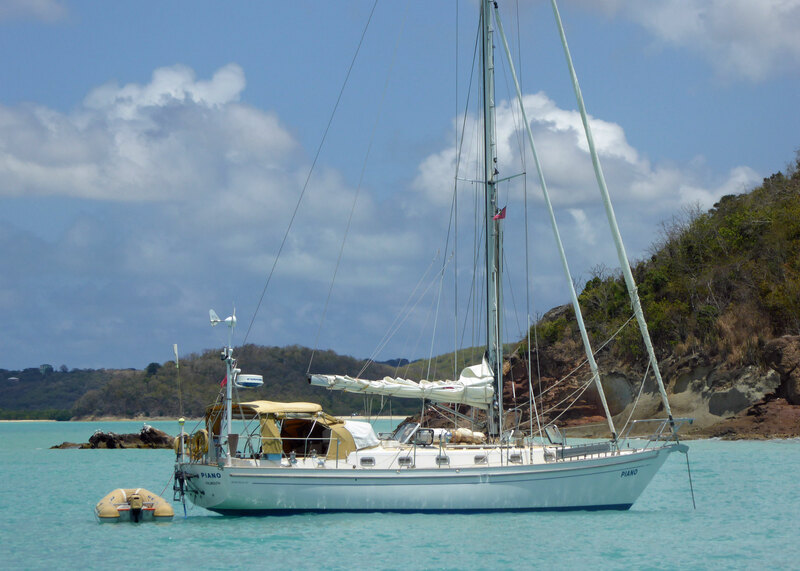 With both stays attached close to the top of the mast, there's no need for running backstays, swept-back spreaders or aft intermediates as there is with the cutter. You can't tack the forward sail through the gap between it and the one behind it - you have to furl it away completely before hauling it out again when you've gone through the wind. Hard on the wind, the furled sail disrupts the airflow over the working sail, reducing performance. With the forestay tension shared between two stays, the luff of the sail may fall away more than you'd want it to, also reducing windward performance. The skipper of this solent rigged Westerly Oceanlord 41 'Badgers Sett' has found the sweet spot with the #2 headsail set and the #1 furled away. Or Maybe a Cutter Rig and a Solent Rig? Provided the mast is far enough aft and the fore-triangle can accommodate it, why not a solent rig with a staysail - a solent-rigged cutter perhaps? You'd have a lot of lines in the cockpit, but could this be the best of both worlds? You are here: Sailboat Cruising > Types of Sailboat > The Cutter Rig or the Solent Rig?